I love textiles. Even took a class on the subject when I was in college. Years ago, before child #2 and #3, I use to quilt just so I could enjoy the many different fabrics. The only problem was once I had pieced the top together, I didn't really enjoy the actual quilting part. I just wanted to play with all the colors and put them together. And then there's the yarn store... oh, my! My visual and tactile senses are on overload! I just love it! Do you feel the same way? Why, then, do we go about decorating our houses in a singular fashion? We tend to pick one type of fabric, one main color, one print, and one texture. Monotonous. And it makes our homes look as if we ordered them right out of a catalog. Actually, I do use the catalog a lot. Perhaps it's no wonder I found my decorating in this same rut. So when we moved into our farmhouse style cottage, I decided this had to change. And thus began my mission for texture. Beginning with the master bedroom. Since this room needed to be an atmosphere for calming and relaxing the senses, I opted for a fairly neutral color palette. This would accentuate the textures even more as they lay next to each other. With all this I added some old books, a couple of floral arrangements, and crystal that belonged to my mother and grandmother. Only two pieces of furniture match; all the rest are odd pieces that I claimed here and there. And some antique watercolor pictures add a further element of elegance and permanence; as if time in this room has existed long before it's modern conception. I've always loved that show on HGTV where they take a designer room and remake it for a fraction of the cost. What a great way to get a professional to do your decorating for you! Well, I kind of did the same thing in my master bedroom. I knew what kind of look I wanted, but pulling it together was elusive; until I found a picture in a magazine that gave me direction and ideas. It was perfect! 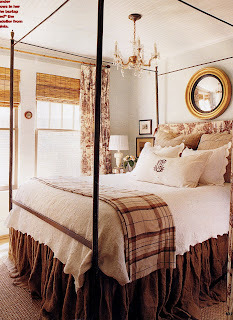 In December of 2006, I picked up a copy of Cottage Living (sadly it is no longer being published), and opened it up to find the bedroom of my dreams. The key element that I was trying to work around was my black pencil post bed! I had wanted to repaint this, but my husband loved it black. So you can imagine how thrilled I was to find a design that pleased both of us! Where the inspiration room had side by side double hung windows, I had french doors in an alcove. I also had a little extra room on the side of the bed with an additional window. My goal was to recreate the bedroom as close as possible, but making it my own at the same time. For example, in the magazine the walls are a soft blue, but mine are a soft green. I did not want to repaint my room since it was fairly new paint and it matched my bathroom, but because the photo in the magazine looks green, I felt it was good enough. Sorry that I don't have a wide angle lens and a professional camera to get a shot with better lighting, but I think you'll get the idea. I've made changes to incorporate the linens I was able to find as well as some antique watercolors that my Dad gave me. I didn't make the toile printed cover for the headboard although I have the fabric because it would be covered up by my large hopsack European shams. I've also made substitutions for things that I couldn't find after a lengthy hunt. And as much as I love the crystal chandelier, my husband loves a ceiling fan and I must admit that around July I am very glad we have one! This was a compromise of love. I removed the traditional standard door to our master bathroom and replaced it with a single french door and added shears for privacy. I reused the old door upstairs when we started remodeling up there. I love this new look! What's great about a magazine makeover is that with the plan you can shop without being sidetracked into purchasing something that won't fit the scheme. You can stay on target. And if you are a patient person, you can wait and shop for sales, purchasing just what you need at discounted prices. It took me about two years of waiting for sales, saving money, and searching for just the right items. And I'm still not quite finished. This fall I hope to add the bead board on the ceiling and complete the wall opposite of the bed with a built in gas fireplace and book cases with french doors. These girls may be relaxing and sunning themselves today, but the rest of the girls on the homestead are cleaning and painting today! 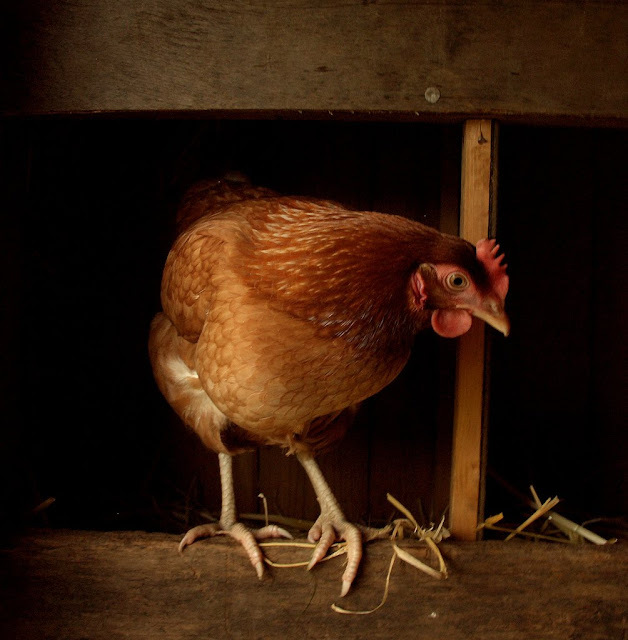 Penny wants to know what YOU plan to do on your homestead this week? from the Father full of grace and truth." Now that my younger girls are a bit older, they want to earn some extra cash. I like the idea of them learning early the value of a dollar and the work that must go into earning it. Time to start introducing them to a small business venture that is age appropriate. 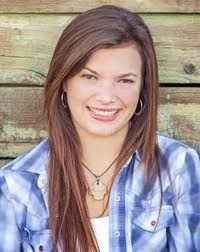 My oldest had some great piano skills that she put to work as a piano teacher. And her academic skills also allowed her to be of use as a tutor. Each child is different and while all may not have a talent that is obvious at a young age, if they are a willing to work hard and learn, there are lots of things they can do. If possible, I like to encourage an interest, but sometimes, they just need to work! A lot jobs are seasonal, but great opportunities, none-the-less. The true entrepreneur will catch the fever and begin dreaming up all kinds of business ventures to keep them going all year-round, some of which may be outlandish. Rather than squash an idea (something I can do all too easily), try asking questions that require them to think through the process and consider the ins and outs in a realistic fashion. You may just have to give some of the ideas a try to see if they work or not. But as the parent, it's a great opportunity to teach your child to honor wisdom from those who have gone before them (as you give advice), to try something totally new, serve and work with others, and learn the value of hard work. They will also have a chance to learn financial skills and record keeping. 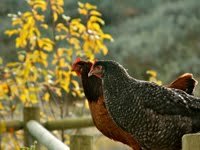 • For those who have chickens, caring for them and selling the eggs is almost always a winner. 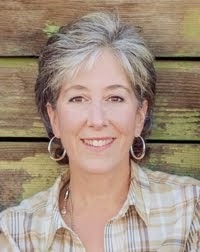 I love how Barbara Kingsolver talks about her youngest daughter's egg business in her book Animal, Vegetable, Miracle. What a great little gal! She has a true business sense about her! 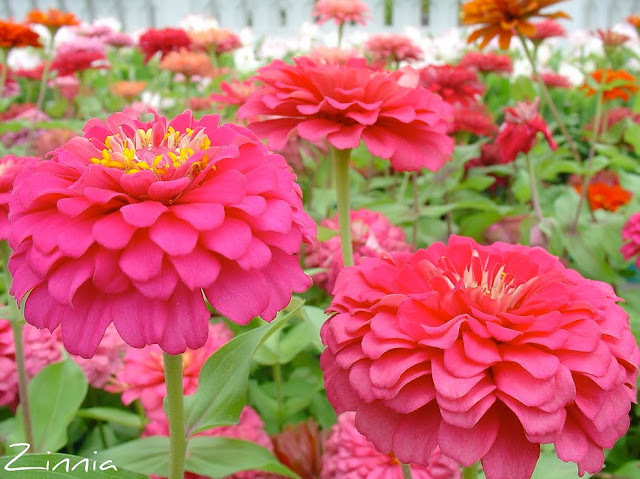 • My youngest (8 years) is attempting to grow cut flowers, such as zinnias. We plan to really get organized this for next year and plan a succession of cutting flowers. Won't that be wonderfully fun! (I'll be helping her with this until she's a little older if it works out). 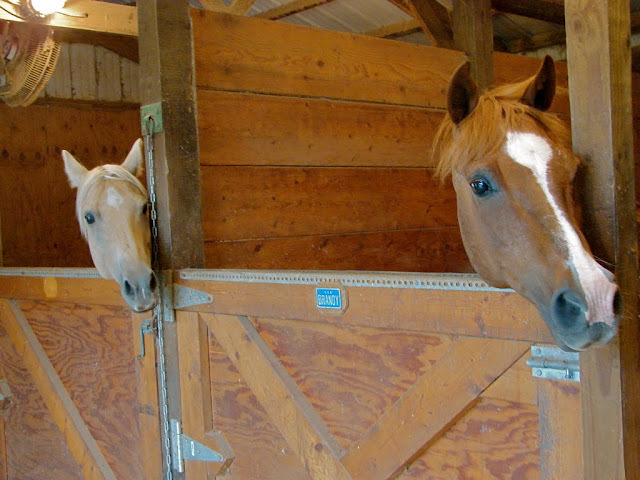 • If you live in a rural area, many people would love to have help cleaning stalls and barns out or a service that would come in and do this for them. While it might not be the most pleasant job, there would always be plenty of work! 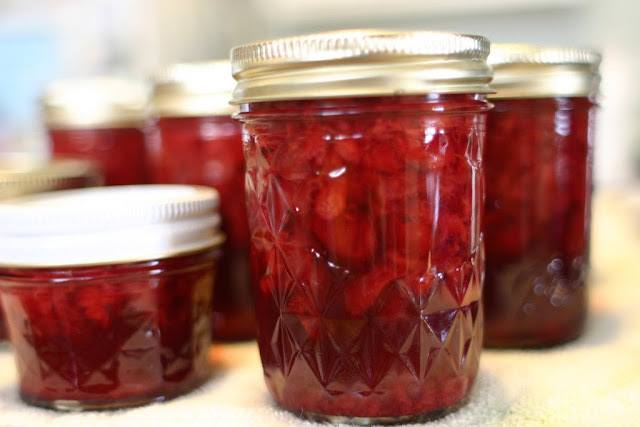 • Making jellies, jams, granolas, breads, and other home baked goodies to sell at a local farmers markets would be ideal for some girls. • No one can be at their home 365 days a year. Having a pet sitting service or animal care service would be a winner - especially during holiday periods when people travel. And those that have animals needing special care find it especially hard to leave home. 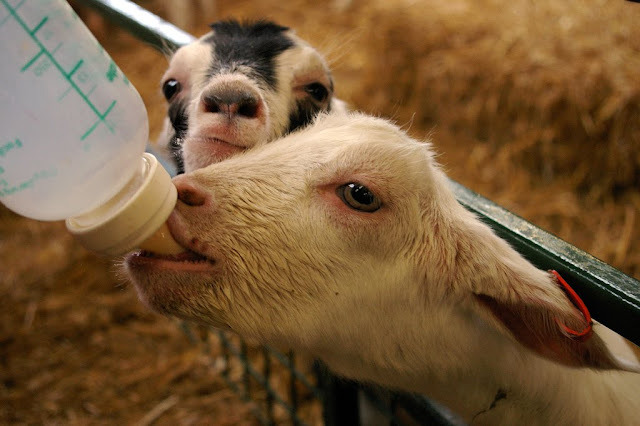 For example, those with dairy animals must train someone to milk for them in their absence. 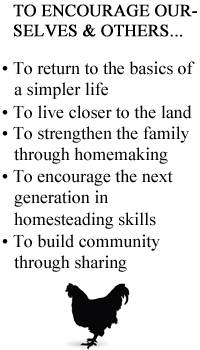 Have your child learn as an apprentice and make a homesteader happy! • Weed whacking is a must out west where fires are a constant concern. How many people really have the time to do it themselves? A young man might have to invest in a good weed eater, but he should be able to recover the cost quickly enough. 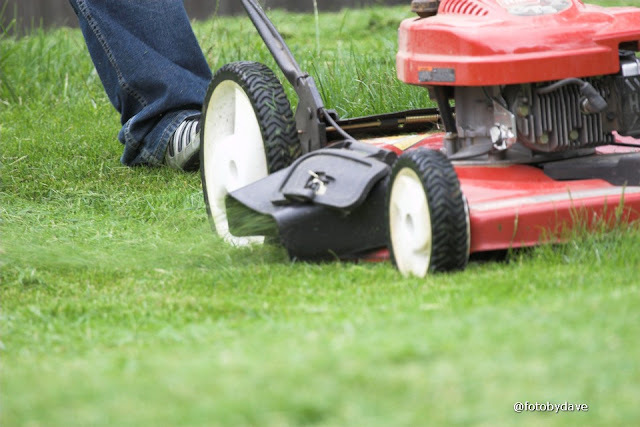 Mowing lawns, weeding, and other garden care is always a need. • Young ladies have so much energy! Why not turn those house keeping skills into profit? Form a two or three person team and they could be in and out in no time. I know two sisters that did this and they were in high demand. • Since we have only girls, my husband often needs another young man to help. Putting up fences, moving heavy objects, chopping firewood... things that really need boy muscles, not a girl's (although my daughters try!). A handy-man's helper "on call" might produce more work than one would imagine! 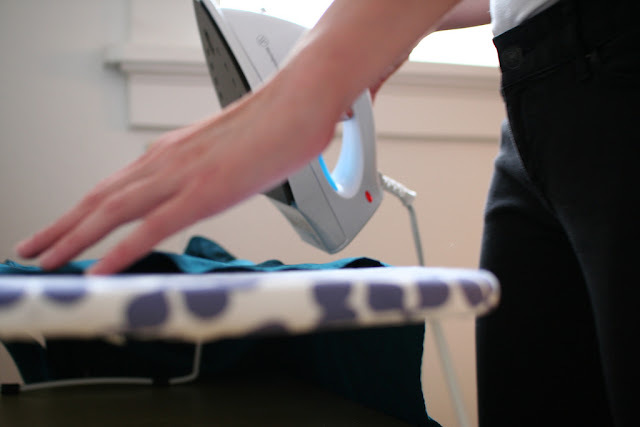 • I know a couple of girls who having an ironing business. Their mother helps pick up and deliver the items and they have regular customers. 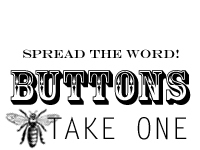 Kids will need to get the word out... a flyer would work well and is necessary for billboards, bulletins, car windows, and handing out door-to-door. But can you imagine their excitement if they had their own business cards to hand out as well? 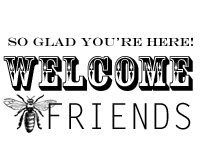 Let them help design and print up a few on your computer. Be sure to check your state's child labor laws to make sure you're working within the guidelines for your area. And you'll need to know at what point they are required to pay taxes. But all this is a great learning opportunity for them as well. Let them work with you as you research the information and read up on it. Getting them involved will make the transition into responsible young adults that much easier! 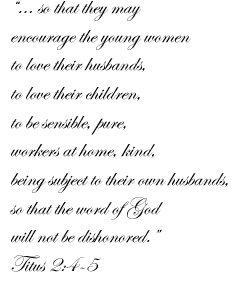 One final comment... in keeping with Biblical principals, I also encourage my girls to do some type of volunteer work or serve those in need who are unable to work themselves and unable to pay. Teaching this balance between working for pay and serving those in need is another important aspect of learning to work. Help me out... I know I haven't exhausted the list of ideas! 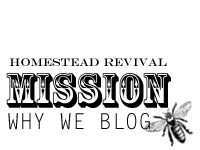 This post has been linked to Raising Homesteaders! Potager Garden Definition: (pronunciation: puh ta zhay) a garden that combines both edible and ornamental plants; a vegetable garden that is utilitarian in nature but designed with beauty in mind; much like an English kitchen garden, but often formal and symmetrically designed in the French fashion. 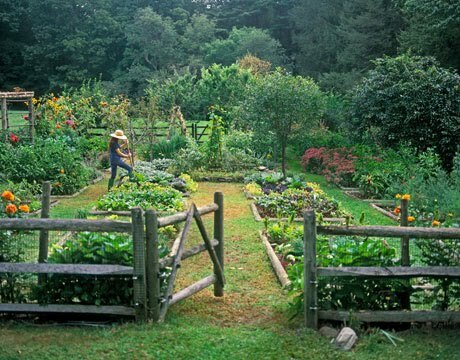 While there is structure to this garden, it definitely has rustic elements, such as the fence and edging material. Also, the plants are neatly contained, but not in such a structured way that you feel you must be in your best dress to walk through it! And see the flowers casually mixed in? Most of you are already vegetable gardeners, but have you considered adding marigolds alongside the tomatoes, zinnias next to the cucumbers, or sunflowers behind the green beans? How about roses along the outside of the fence? • Some flowers are edible and can grace both your garden and your dishes. Pansies, nasturtiums, and lavender are all great to include in a potager garden. Here's a list of more edible flowers. • Flowers can be visually soothing to the soul and soothing to the body as well since many are medicinal in nature. For a list of 15 medicinal flowers, read here. 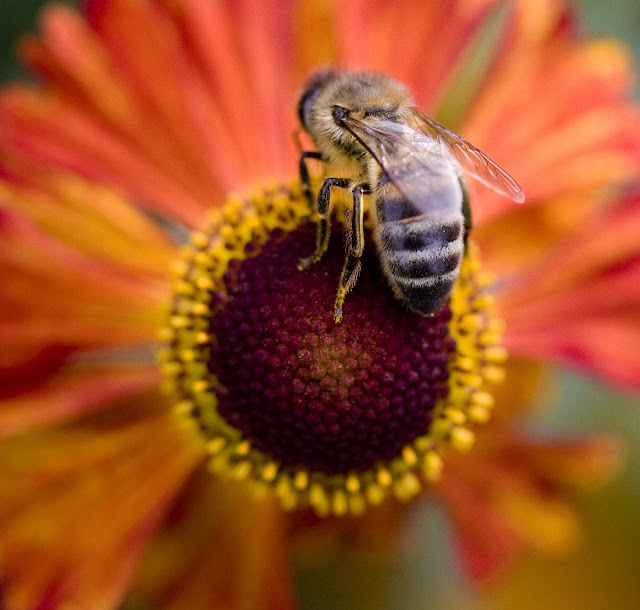 • Flowers with high nectar concentrations can help attract bees to vegetables that are in need of pollination. They can also encourage beneficial insects to stick around your veggies while other flowers repel the bad bugs! • There are several combinations of flowers and vegetables that actually help each other. Who wouldn't want to give their vegetables a beautiful boost? 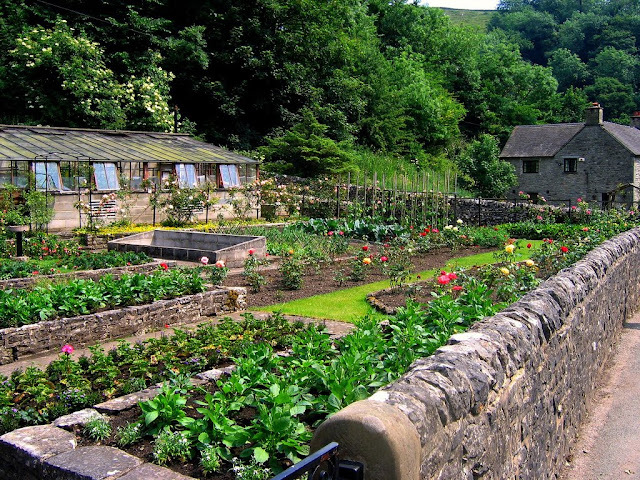 • A potager garden can be a colorful source of cut flowers from spring through fall, and in some areas, even winter. Flower cuttings in vases bring an element of the outdoors inside, but they also provide something for you to take to friends when visiting. What a blessing to be able to arrive at a friends house with a small bouquet of daisies or an armful of lilac branches! 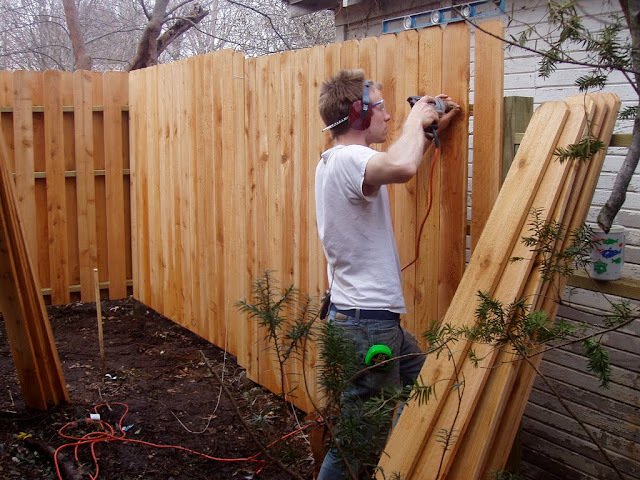 • Consider adding a fence to define your garden space. It will not only deter animals (to a degree), but it will give you a backdrop to add plants. On the outside, add larger flower options such as roses, peonies, lilacs, and climbing vines. On the inside, grow tall flowers along the fence, such as sunflowers, and smaller vegetables in front of them. • Use smaller flowering plants as borders and edges around your beds. Marigolds, pansies, and chives. • Don't forget to add flowering herbs! Mixing these in around the garden can add fragrance, texture, and flavor to your vegetable dishes. • You may wish to add a central bed to the garden, specifically for visual interest with flowers being part of the focus. An obelisk with a climbing vine surrounded by an array of flowers would make any gardener want to visit the veggies often! • Consider mixing neat and formal plants with the casual and informal; for example, a row of flowers that are shaped in a compact mound alongside a lacy and slightly wild veggie, such as beans. 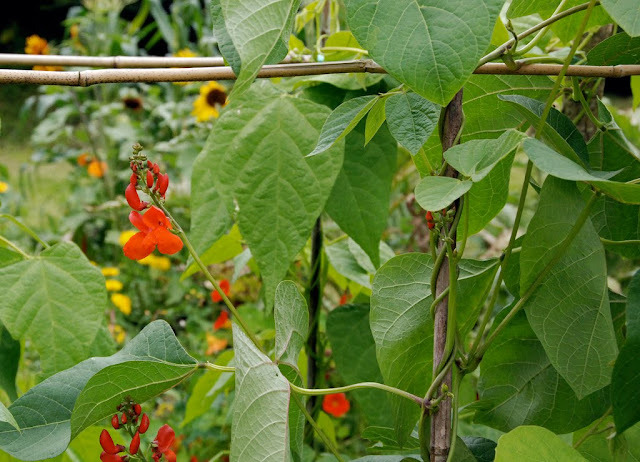 • Try growing a climbing vegetable alongside a climbing flowering vine. Let the two intermingle to create a beautifully unique look. * If you've planted extra vegetables of a certain variety, allow some of them go to seed and flower out to enjoy their own unique beauty. • If you really prefer things neat and tidy, you can always plant beds of flowers and vegetables separately, but next to each other, alternating between the two. A lovely garden doesn't happen over night. It often takes years of dreaming, planning, and hard work. By adding the element of flowers you can make the process a joy! How have you incorporated flowers into your vegetable garden and what tips can you share? Can you stand one more organization post? 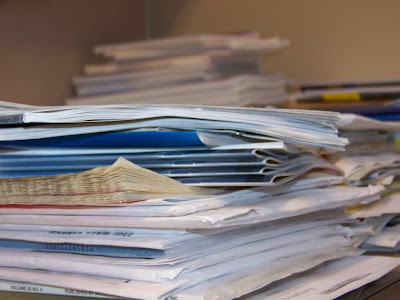 As a followup from my post Desk Organization, I want to address handling all that paperwork that seems to accumulate that needs to be filed or is in our files. 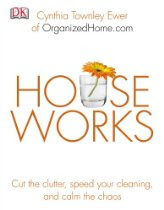 Here are some great tips from House Works by Cynthia Townley Ewer. Everything in bold is a direct quote while the rest I summarized. You really should get her book. It's awesome! 1. Do it now. Especially if it can be done in two minutes or less. 2. Put paperwork in its place. Never lay it down somewhere randomly. 3. Toss the trash. Ditch junk mail and unwanted catalogs as they arrive. 4. Tag it. Use sticky notes for papers that need followup or some type of action. 5. File it fast, file it right. Handle each paper once, not twice. Avoid a "To File" folder. 6. Stay stocked up on mailing supplies. Send out stuff right away that needs to move on (ie: bills, wedding replies, surveys, etc.). 7. Schedule paper-handling chores regularly. Set aside this time on your calendar if you have to in order to get the job done. 8. Create a Chuck-It Bucket. This is a box or file that holds anything that you think you can throw out, but aren't really sure about. Just throw it in and don't worry about it unless you need it. Every six weeks or so, dump the box in the trash. This is a great idea because one of the biggest filing "issues" is not being able to decide what to do with a paper - keep it, toss it, or where do I file it? 9. Buy an electronic labeler. This is a lot faster for labeling new files than printing pretty sheets on your computer, especially if you hate wasting half a page just for one or two labels. 10. Make friends with your files. 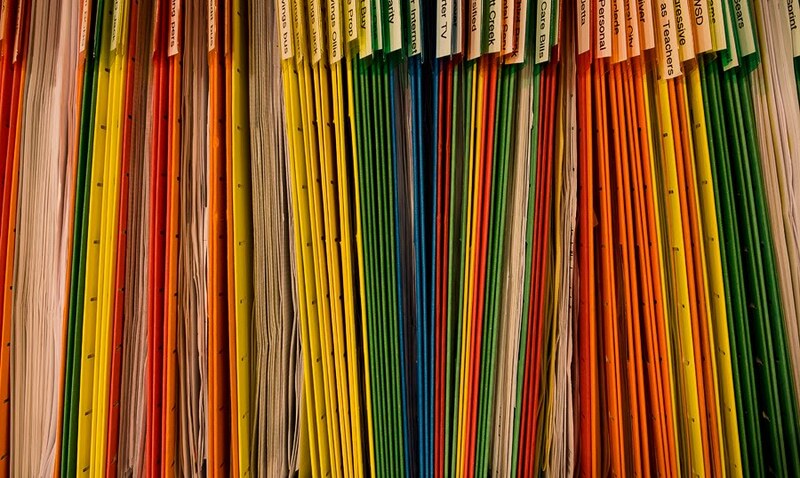 Organize them to fit your life and your filing style. 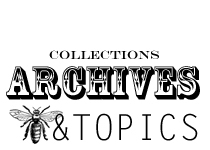 Now, on a personal note, I keep files for bills, taxes, pets, toy warranties and instructions, and family records which include health, education, and adoption (each girl has special info that we've saved), and employment. 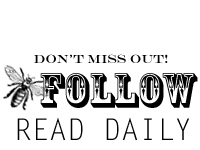 Also, decorating tear files, gardening ideas, organization tips and ideas, cooking ideas, recipes I want to try, and a few other miscellaneous odds and ends. Most of these stay in the file all year long. However, twice a year I go through all the bill files and pull out the paid bills, letters, and contracts from the companies and place them in a large zip lock bag with a label for the time period. These go into a large rubbermaid container for seven years at which time I shred them. If I ever need these for the IRS or something, they are where I can get to them. Actually, I've only had to once or twice for that "something"! The reason I move these out of my files is to keep them where they aren't so packed. If your files are so tight that you can't easily get into them (and I mean EASILY!! ), you won't want to file because it is too difficult. Let me encourage you to set aside some time this week or next to get your files up to speed so that filing is a breeze. 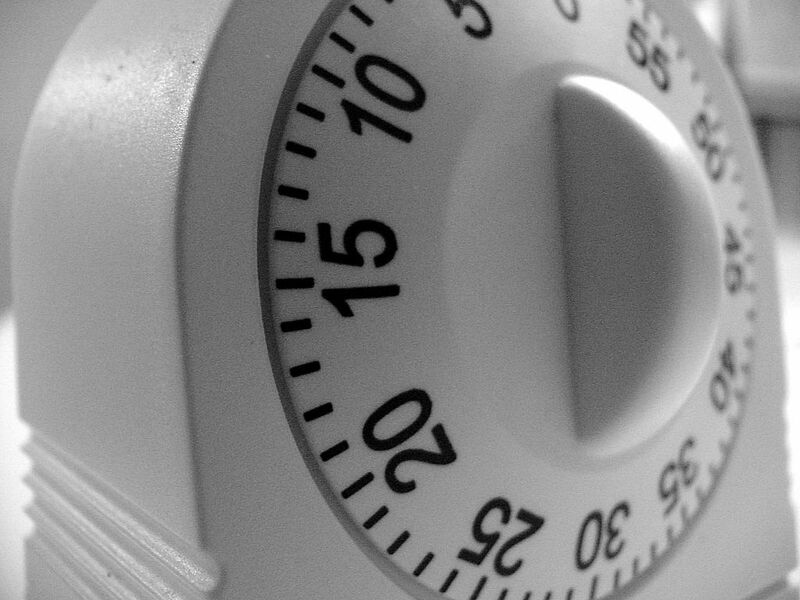 An investment of one morning's worth of work will save you hours over the next year. 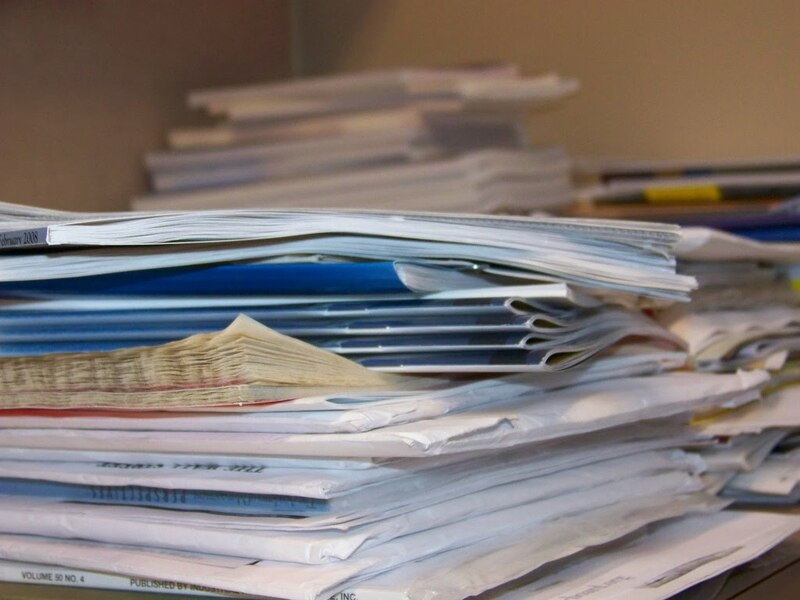 Each January, reassess your files and take a couple of hours to get them back into tip top shape: correctly labeled, purged of the old, back in order. 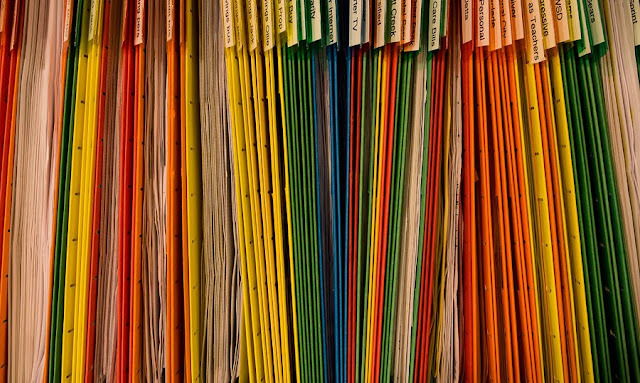 Perhaps filing will no longer be such a dreaded chore. We can only get organized and hope! I know it's not January first, the time when most people think of organizing their homes, but I always get this urge twice a year, not once. January and June/July. I think it's because school is out and all that has accumulated over the course of the year makes me to want to purge and rearrange, try new organization tricks, and get everything tidy again for fall. Thus the reason for some many organization posts. So I appreciate your patience as I repost an old piece I wrote. I really need this particular article for myself!! I must admit that I have been an organizing fanatic since I was about 8. Before that it really didn't enter my mind, but about third grade, our family moved to a new town and a new home. I still remember walking into that empty room, staring at the open closet and green shag carpet while thinking to myself "Self, I think I would like to keep this room neat". It sounds silly, but it's true. My friends use to tease me that I filed my clothes in my drawers. Nothing was ever under my bed, there was no junk drawer, and my closet was always tidy. However, in high school I practically lived in my car and the back seat was the most logical place for all my school books, drill team uniform, favorite 8 tracks and cassettes (yes, I'm a bit old), and anything else that I needed on a daily basis. It was a mess! Now that I am a mom, I like my canned goods all lined up with the labels facing the front. Drawers are neatly organized, and the linen closet usually is stacked nicely (still no junk drawer). But, true to nature, the place I work the most is almost always a mess! My desk. A rare moment when my desk is actually clean! My friends can attest, that they have come in to see piles of paper work and receipts sitting in a stack. Books that I am reading or researching are scattered or in piles while photos are all over the place. And since there are children around, a toy or two can be found in this mess as well. It isn't that I don't know how to organize it. But rather that I don't take the time to get it done. When I sit down for a minute to get it straightened up, I can find 10 things I need to do immediately (sometimes things that had due dates three days prior!). More often than not, I get some idea in my head and start researching that for half an hour. Then before I realize it, my time is up and I have none left to organize. This past week, it reached critical mass. Well, perhaps I reached critical mass. I couldn't stand it any more! Something had to be done. The purging began. As I pulled out stuff from drawers and under my desk (I have deep shelves that are built in for storing things underneath and to the side), I couldn't believe the amount of paraphernalia that was in my desk area! And so little of it was stuff that I really need and use at my desk. All that got moved out. I was ruthless! If you've read my previous post Need More Space In Your Home then you know that you will need to purge some stuff as well. Most people have odd note pads and tons of used or worn out pens and pencils. Ditch them and don't look back! Get rid of those stray screws you never found out what they belonged to or take them to the tool box, purge the odds and ends in your drawers, and trash the worn out and unused. Pictures are nice, but I didn't have room for them on top of the desk area, so they went to another location. My scanner that I use to scan old photos was taking up the entire left side of the desk top, but all my photos are upstairs, so I moved the scanner to the upstairs computer. And a stack of things that needed to be returned to friends went to the car to deliver them to their rightful owners. And this was just some of it! I only left the things that I really use on a daily basis while working at my desk. So Rule #1 in desk organization: If you don't use it, loose it! Next there were some items that I use in my desk area, but not as often as others. For example, I keep a copy of my favorite catalogs for referencing items and such. These were taking up valuable space in my filing drawers. And like most of us, I really need more filing space! So the magazines got moved to another home in my desk area that was a bit further away, but with proper organizing items (stand up magazine files), these would be just as easy or even easier to access! I needed more space in my drawers and yet, I kept my pens and pencils in there. A pretty vase on top of my desk was a better use of space and actually would make it more productive for me. No more digging for a writing instrument. And I am always needing a notepad to take a memo or phone message, but these were almost behind my chair in a drawer that caused me to reach back and move over. I moved these front and center. There were several other items that were in the wrong location and thus helped me to come up with the next tip. Rule #2 is now: Keep the most used items close at hand and easy to access! I always have items that I am currently working on and I do not want to file them in the drawers every day for a week as I reference them. I need them out where I can grab them quickly and put them back just as fast. It's usually for a project that I am working on and after a week or so, they'll be done. To fight this is futile and would make my work unproductive. It wouldn't make sense to try to retrain myself when it is so engrained. So I needed to come up with a way to keep the papers looking neat and not all over my desk. I have purchased a stand up file holder and some lovely looking file folders to keep on top of my desk. Each will be label with something like "Invitations/Thanks You Notes to Write", "Receipts to File", "House Projects in Process", "Bills To Pay" and such. Rule #3: Make the desk work for you and your style of work. My desk had become a collection of "cute" little what-nots. Photos, silk plants, candle holders I rarely used, on and on... I was getting frustrated because I didn't have enough space to actually work. I had to make room for what the desk was intended to be used for. Rule #4: Keep the desk top as clear as possible for plenty of work space. Rule #5: Before bed each night, make it pretty again! Oh, how I wish there was a desk fairy that would clean our desks for us each night! 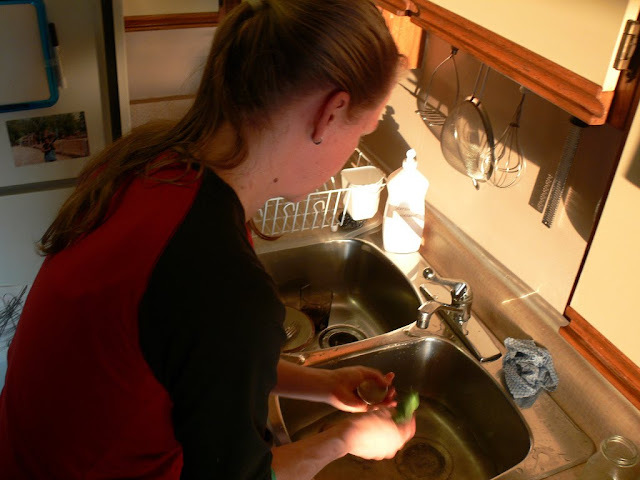 Until then, we must plan 5-10 minutes into the evening routine to quickly tidy the area so that it is a welcoming space the next day. Honestly, this is where I struggle the most, so I really need to start making this a daily habit! Then it wouldn't get so out of hand. Off to tackle my desk mess! I apologize in advance if this post causes anyone undue stress and hardship. 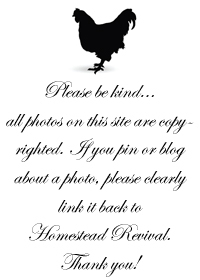 You've been forewarned, so read at your own risk! Ever have a room in your home that you just don't want to be in? It's too crowded, doesn't work like you need it to function, or is just plain messy? We've all been there. It sneaks up on you. One day you are perfectly content with the room and then suddenly, you realize it has issues! I like to watch House Hunters on HGTV occasionally and something thing has struck me on several episodes. The families in the program often claim they do not have enough space, yet as you examine their current home, it is filled to the ceiling with just STUFF! As Americans, we are notorious consumers and we constantly buy to replace or upgrade things. (I could do an entire post on that issue alone, however, my focus today is to discuss the results of so much consumerism.) All that STUFF has a way of accumulating and taking over a room or an entire house for that matter. A lot of people ask me about organizing. Where should they begin? What would work for their space? What ideas do I have that would make things more efficient for their family? If I could give one tip that would solve most of their organizing dilemmas it would be this...PURGE! Is this something I use regularly or have I even used in the last year or two? Am I willing to pay for an item to organize it? Am I afraid I might need it someday? Would it really be that difficult to replace if I later needed it? What would my life be like without it? Would it really make a difference? Is it an item I really like and appreciate? Will my children appreciate it when it is handed down to them or will it be more of a burden to store in their attic? (Example: a fine chippendale chair as opposed to an old sofa that is worn). 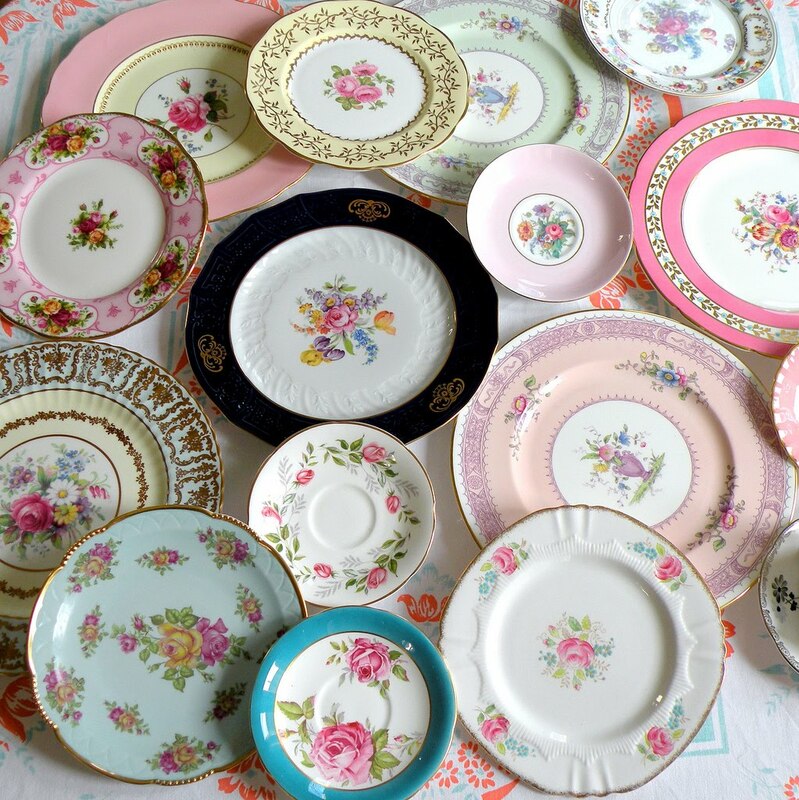 An heirloom doesn't have to be of extreme value, but if it is a common or inexpensive item, chances are it only holds value to the person closest to the original owner. For example, my mother's old glass rice cooker will mean very little to anyone except myself. I remember her always cooking at the stove with it. I have chosen to keep it, but I use it everyday, just as she did. Someday it will break and no longer be useful. But until then, I will continue to actually use it and enjoy the memories. Do I have too many things to manage in my collection? What is the real reason I'm collecting these items? Could I just keep my 10 favorite items in the collection and display them well? Am I willing to dust this item often or pay for a display case to prevent dust from accumulating? Is it really necessary for legal reasons, such as taxes? Do I have a method for knowing when to destroy the paperwork? Is it an item I paid a lot for and I don't want to just throw it out ? Is it adding value to my life by taking up space in my home? I am hesitating because I do not know how to dispose of it in a way to regain some of my investment? Could I donate it and experience joy, knowing others are being blessed by this item? The Keep box is for items that will remain in the area that you are organizing. The Relocate box is for items that have wandered into the wrong room or area. It could also include items that need to go into long-term storage. Just be sure that it is an item that you really want to keep. Items in the Donate box should be clean and in usable condition. Otherwise trash the item. If you plan to sell some of your things, it might be a good idea to purchase stickers and price the items as you place them in the box. So now you know the PURGE basics. Of course there is more to organizing, but this is certainly the biggest issue. Once you PURGE, you will know what is left that really needs to be organized. And what better time to go through the house and declutter the rooms than now? Not All Eggs Are Equal, Including Organic!